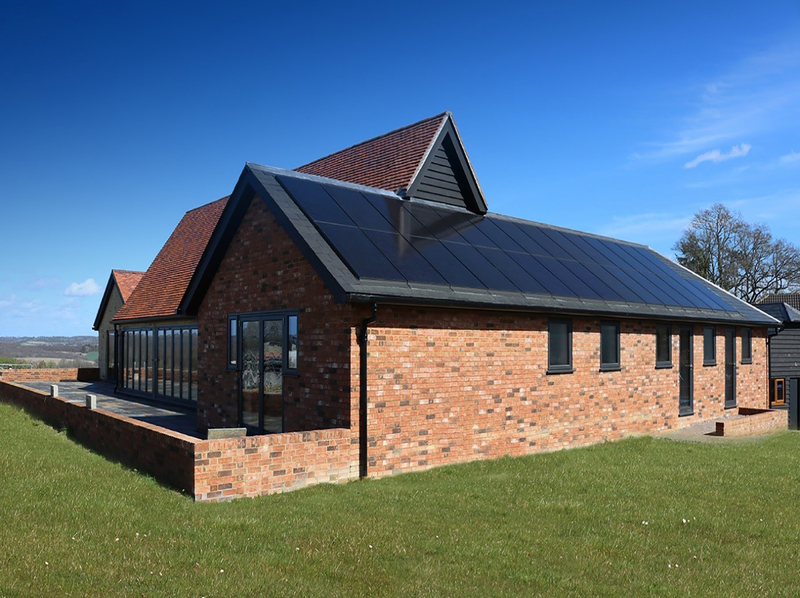 TBS Specialist Products have been at the forefront of integrated solar pv, having completed the first install of a tile-in system in 2003. Since then we have completed numerous installations utilizing a variety of integrated solutions, and have now arrived at what we think are the most aesthetic solutions for any project. 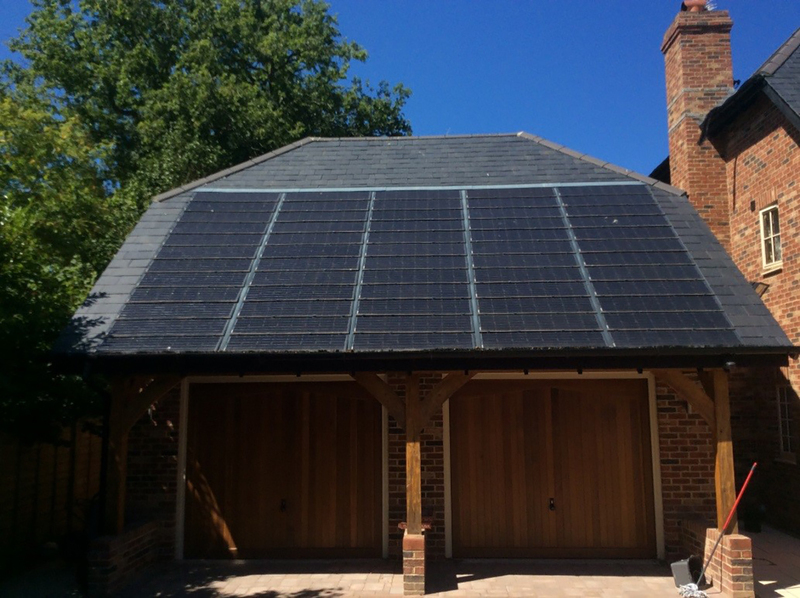 TBS are the exclusive UK distributor for the Ergosun Solar Roof tile, the world’s first commercially available solar roof tile. By simply taking widely available large format, flat roof tiles, TBS/ Ergosun add a grey or terracotta colour matched solar pv module to give the most discrete solar array available. As the module is matt finished and only 3.6mm thick, the resulting finish, which you can see in the picture above, makes them almost invisible. As a result of this they have been successfully installed in the Peak District National Park, and even on a Grade I listed building in London. TBS are also the UK distributor for Captelia integrated pv modules. Designed in conjunction with Imerys, one of Europe’s largest roof tile manufacturers, the Captelia system offers both great aesthetics, and for peace of mind, an industry leading, insurance backed total roof warranty of 30 years, when installed with Imerys roof tiles. The Captelia system however is not restricted to just Imerys tiles, as we can install them alongside any pitch roof covering available, from plain tiles to large format concrete tiles, and even natural slate, as can be seen above. 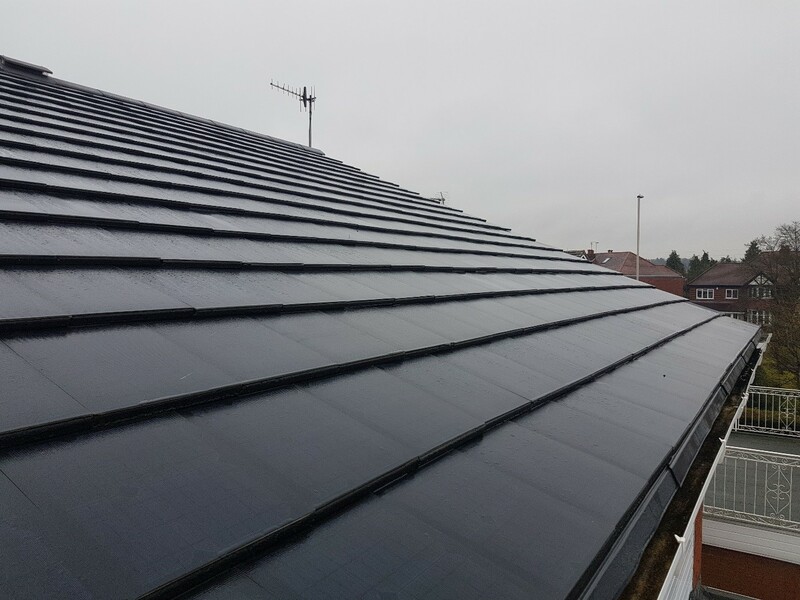 Having specialised in integrated solar systems, TBS have at last found the perfect large format integrated system with Viridian Solar. Taking specially designed black frame modules and brackets, we simply attach them direct to the roof timbers, then add specially designed watertight flashings, before the roof tilers complete the tiling, resulting in the elegant solution above. TBS are proud to be an approved LG Pro Installer. Partnering with LG Solar, one of the world’s largest, and most innovative electrical manufacturers, ensures that we are at the forefront of advances in pv technology. From increasing output, Bifacial modules, through to the new Energy Storage System battery LG continue to improve and innovate.